Chad Kelly’s alleged adventure into a stranger’s home Tuesday morning, which ended with him getting whacked with a vacuum tube, has cost him his job. 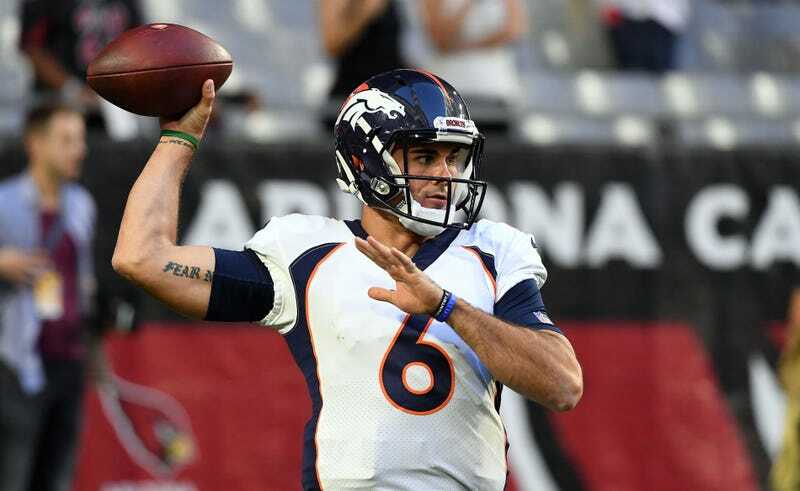 The Denver Broncos released the sophomore quarterback today. Wow, and we call this America? Who will save Broncos fans from Case Keenum now, Kevin Hogan? Okay, not Kevin Hogan. Broncos QB Chad Kelly Arrested After Allegedly Trespassing In Stranger&apos;s Home, "Mumbling Incoherently"
What Is John Elway Talking About In This Inane Political Ad?